Project CARS is a unique game in more ways than one. A rival to the likes of Gran Turismo and Forza, the racer has been crowd-funded and is being developed with the assistance of more than 35,000 backers. Alongside Kickstarter, Slightly Mad's Worlds of Mass Development platform could revolutionise the way games make their way to market — and that makes Project CARS one to watch. The studio — which has previously worked on the Need for Speed: Shift and Test Drive franchises — has always insisted that the Wii U port of the game would live up to the promise of the other editions. However, with the recent news that the PS3 and Xbox 360 versions had been dropped in favour of focusing on the PS4 and Xbox One, some Nintendo fans were rightly concerned that the same thing might happen to the Wii U edition. Thankfully, Slightly Mad's Creative Director Andy Tudor has moved to calm such fears. The Wii U is more than capable of providing the core Project CARS experience. Sure, some super-high-level graphical effects may not be possible but in comparison it also offers a unique interaction experience via the GamePad controller, with the second screen potentially becoming your track map overview, rear-view mirror, telemetry, or simply mimicking a real race car steering wheel whilst you use the gyroscope to drive. Plus there are great possibilities to extend our existing WMD community into the Mii Community with discussion and sharing of content and ideas. There's no realistic racing game on the Wii U currently yet, and we hear the fans crying out for one. Project CARS provides a Forza or Gran Turismo-like experience for those gamers and it'll be something to really show off what the system is capable of. From our internal playing, it's looking extremely promising. Given that many other developers and publishers seem to find excuses to ignore or drop the Wii U at a moment's notice, it's encouraging to hear such positive comments and support for Nintendo's console. Are you looking forward to playing Project CARS? Let us know by posting a comment below. It's always nice to hear positivity like this! Uhm...yeah, why wouldnt it ? Because of the graphics ? This also screems for peripherals: Ballance board mountable pedals. Cheap and effective. But to be honest, the most important thing that game should do: DONT go the Forza 5 / GT 6 road of ripp off DLC. No "unlock 90% of the cars through DLC", no "we cut 200 cars from the game and they are available day one via DLC", no "100000 ingame credits for 9,99€"
I'm really looking forward to this game because it will come and offer a new racing challenge on the Wii U. We can't live off "NFS Most Wanted" forever. ^ GT6 thankfully didn't go through that road, the career mode has been extremely polished up and accessible, with all the events being free and credits practically being given away. I'm amazed Polyphony went in the right direction. Forza 5 is a complete joke though and barely even resembles a videogame. Looking forward to PCARS my only question still remains though, analog throttle? GazPlant: Sonic Racing does this already if you hold the GamePad up while playing. It's a fun gimmick, although one I don't use because of the speed of the game, but I imagine others take advantage. This is great news, it looks a solid product and it's nice to hear developers pushing the U ahead of the ps3/360. I don't expect it to compete alongside the PS4/XBONE, but it's good that it's in the middle ground that Nintendo do so well. As MAB said it's nice to have an uncluttered screen, especially for screenshots and Miiverse posting! You might see something in the rear mirror while paused =) I'm really glad they're keen on using the Miiverse properly, it's become such a big part of Wii U games for me. But youre right about Forca. That thing is a wreck. I always liked Forca way more than GT until Forca 4 started to be just a HUB game for a whole bunch of DLCs. You didnt buy a game, you bought a puzzle that can be solved by spending money. But im definitly looking forward to this game and hope that they really stay away from the greed route. As a guy who spent a lot of his adolescence completely obsessed with the Gran Turismo series, this is fantastic news for me. This is actually a big selling point for me picking up a Wii U in the near future. @Einherjar that's fair, I expected it to be bad after hearing microtransactions were in the game (GT6). However, I've beaten the entire career mode, got every gold and there's been none. Without the internet I wouldn't know they're even there, unlike Forza 5 which has constant reminders every time you finish a race to buy credits. It's only an external option if you visit the PSN store (which I still hate) and doesn't impact the game. Seems more like Sony's doing than Polyphony's. Luckily Nintendo will never enforce crap like this, and hopefully more devs realise the freedom they would have on Wii U. Looks very promising, provided it gets at least a reasonable view here on nl and the online infrastructure is good I'll buy it. They've been listening to me. Now all we need is Wii Classic Controller analog button support. Those Digital Foundry people I'm sure will get their kicks in. But it does sound like the developers are happy to get the Wii U version singing even tho it won't run max spec. And in the end that's the important part. Well, and copies sold lol. Look forward to NL's 'hands-on' if possible! To be honest, i was really worried about the whole DLC thing, but that sounds rather pleasent. He's got the crying part right. Make it good and this will be a day one buy for me! Can't help but to think this sounds an awful lot like the talk about Aliens Colony Marines before the hack job that happened! Hope I'm just over thinking here! Great. I would like to place my Gamepad on its stand right next to my tv, and use my Pro Controller, letting my GamePad be the rear-view mirror. @Spoony_Tech ugh, what a debacle. Gonna re-bury memory of that now. Also, another memory that this news happily un-buries is the 90's Arcade Racer from Pelikan13/Nicalis. I really feel like we're about due for a little update on that beauty of a project! Sounds exciting, it's nice to see a dev actually trying, I can understand the whole graphical effect won't be as good as the PS3/XB1, but if we get the whole experience, I'm thrilled. @TwoTheNines the Wii U should still look Nextgen... it's using the same OpenGL 4.3 as the ps4 version(shading/lighting). The ps4/xBone editions is a higher resolution with a lot more AA applied. DF will probably s____ all over the Wii U version for things most people can't see while the game is in motion. But all three consoles will run it at 30fps. The only 60fps version will be PC. I primarily want a quality racing sim for the Wii U, but I know I will end up double dipping to get it on PC as well eventually. I'll start cheering and jumping for joy, when i see something credible like a video of the game playing on the Wii U and not just words. As we all know far to regularly on this site Words are Cheep and mean very little. As Spoony_Tech reminded us of Alien Colonial Marines, all talk and no physical result, then a cancellation.. If what he is saying is true, it'll be great to see a third party actually putting effort into the Wii U versions of multiplat games. The reason that the Wii U has been struggling with framerates and textures with games such as ACIV is because the developers are simply not optimizing the game for the system. Of course the Wii U version of Project CARS won't look as good as the PS4 and Xbone versions, and definitely not the PC version, but with actual effort it'll be just as playable, and maybe the best overall version with the gamepad's features. Im a mega petrol head and really enjoying gt6 just now(only reason i have a ps3) but being a nintendo fan doesnt fare well for us fans realistic racers so i think we need/are due this,i cannot wait this i really hope they pull this off and i'll be first in line to buy it! Using the wiiu pad with the dials or the rear view mirror with the tv as your view and using the pro controller steering wheel as controls would be epic! @Shiryu Lucky you have a copy of NFS Most Wanted, i cant seem to find a retailer that has one. I'm guessing EA stopped production of retail copies shortly after release. They are even rare to find on EBay. These guys are doing it right. Leveraging the lack of the Wii U's horsepower with features you can only pull off with Nintendo's accessories. If more third parties did this, there would be some excellent looking and playing games on the Wii U, but it seems like the only developer that takes this approach is Ubisoft. I for one am excited about this game, and is for sure a day one purchase for me. On a sidenote: Thanks everyone who mentioned GTA 6 and Forza 5 (especially the latter) makes me not regret getting Forza. It's one thing hearing from reviewers, but actual feedback from the community is golden! I have been following this project and I am very excited for it's release... just when that is, who knows. But I am a huge Gran Turismo, and most importantly, a Forza fan... so I am stoked for this. @Laxeybobby - the EA store origin.com is/was running a sale on Need For Speed U for $13.99 with $2.50 shipping,atleast here in US. It would have been an ideal game to put on the e-shop for download. I'm sure EA would see a boost in its sales for this title if they had done this. I'm a fan of racing simulators, why not I say? @everyone This is made by the people that brought the Need for Speed Shift series, which was also quite good, they're not sacks of sh** like Randy Pitchford (the Aliens Colonial Marines guy), who I wrongfully defended on many occasions, to my deepest regret. So since the beta is already WAY ahead of what every other racer brings, it's DEFINITELY going to be better than that sorry excuse of a game, and with all the time and money invested in it (also in the Wii U version, which is known because the community gets regular updates) they will NEVER cancel the game, so rest assured and if racing sims are your thing, I can absolutely recommend this game to you, so put away some money and be sure to buy it and support Slightly Mad Studios. If sales are great, they will keep supporting Wii U. "Project CARS offers a much more sandbox, freeform experience than either, I think," replies Tudor. He has a point: all cars and tracks are unlocked from day one for a start, no need to unlock them first or pay extra for them. I wish more devs had this sense of developing. Did hear that EA? You better take note. The same goes for you Bethesda. this is to all you other developers saying the Wii u can't provide enough power for your games. I will get this DAY1!! If good, I buy (it right away)! You can always buy it from EA's Origin store. Physical copy of course. I believe they're also putting it on sale at the moment. EDIT: Oh nvm, sorry. Didn't see that you're from the UK. As long as I can map the gas and brake to the right analog stick, I'm good. I actually think the cancellation of 360/PS3 versions bodes well for a Wii U version. Those were cancelled because there is nothing those platforms offer over their newer counterparts other than current install base. On the other hand, Wii U has features and an untapped market that cannot be duplicated on any other platform. Even the PS4/Xbone versions are likely to be inferior PC ports with less features that must compete with the two most popular racing sims (Gran Turismo and Forza). Additionally, there has likely been significant work done in adapting the game engine to 360/PS3 previously that can now be geared specifically for the Wii U. This allows them to continue that work instead of tossing it aside and the focus on Wii U should yield a stronger, more polished engine that plays to it's technical strengths, instead of porting three versions based upon a similar engine with uneven results (typical 360/PS3 porting over the last gen). Personally I think it would be foolish to scrap that work and ignore a potentially lucrative market no competition. Is the game in the video playing on what system? Wii U or one of the other systems? As a few people have already stated, I really hope they have the smarts to utilize the balance board as the gas and brake pedals and turn the game pad screen into an interactive steering wheel with all the buttons, dials, etc. I was always hoping for a GTA game on Wii that supported Wii Wheel, Balance Board and Wiimote for drive-bys. Why wouldn't it? Just like in real life where you glance away from the road to the mirror, you would glance away from the screen (the road) to the gamepad (the mirror). Makes perfect sense to me. I think that most people who love Nintendo enough to come to this site also support 3rd parties but it will be disappointing if this gets overlooked on a system with no realistic track racing game. NFS has never really cut it against PGR, Forza or GT so maybe a new rival brand will come out of Project Cars. It is a horrible shame that Nintendo has had no luck maintaining any kind of driving sim support since the SNES era. I think Nintendo should try to collaborate with Sega to get some of their popular driving games remade for Wii U.
i am getting this... but please set the price as a fair price..
i have been waiting for a good racing game.. not for the ps. I'm not really a fan of realistic racing games, but I'm buying this just to support the devs. I love their integrity and policy of equal treatment among consoles, and am always happy to do my part in showing support for 3rd parties willing to go against the grain. Slightly Mad, you deserve my hard earn cash. and hope people will also buy it. I think that Wii u needs real simulator like this. Of course I will buy it!!! I'm loving Gran Turismo 6 on PS3 right now, but by the time this comes out I'll be long done with that. I'll be buying this for sure unless the quality is horrible, but I doubt it will be bad. This developer knows what they are doing. They've got the right mindset and the talent to back that up. so I'm guessing it's a good guideline as to what you can expect for the Wii U version. @Atariboy Like @ACK already said, the cancellation of the Xbox360/PS3 versions is a good thing. They (Slightly Mad Studios) themselves have stated that they think that for those platforms, people will want the maximum out of Project CARS and so they will go for the Xbox One/PS4 versions instead. The Wii U version is already very far in development and a lot of things have been added on/improved. It would be throwing away a LOT of money if they would cancel that now. The Xbox360/PS3 versions weren't as far in development as the Wii U version, and now they can focus ALL of their attention to Nintendo's console, because the Xbox One/PS4 versions are pretty much identical to the average gaming PC version (a true game PC obviously being quite a big step ahead of these two machines) so they don't need that much more work to be ported. Heh, I like these guys already. I love how Damien McFerran is turning Red Bull of all things into a long-form games journalism powerhouse. It seems like nobody wants to make these sort of articles anymore, but I certainly want to read them. Definitely excited for this game on Wii U. I hope the game isn't entirely unstructured — I love how NFS Most Wanted struck a balance between letting you go anywhere and do anything, but still lining up a ton of stuff to do. If they make it possible to steer with gyro, using the left and right sticks as seperate, analog acceleration and braking input, and the triggers to switch gears, while using the second screen as a rear view mirror, and gamepad speakers for co-driver voice when applicable, they just sold me the first realistic racer I'll play in... I don't even know how long it's been. Please, do this! @Grubdog i am hoping for a steering wheel to come out for the wii u in time for project cars. plz nintendo plz!! @TheRealThanos Thank you for all the info you're providing! I really want this in a bad way to be excellent. I truly like the sim style more then arcade style and Gran Turismo 4 was the last sim I played so its been far too long! I'm really looking forward to seeing a more 'simmy' racing game on the Wii U. Even though I'm mostly terrible at racing games, I do enjoy watching the shiny racing cars zoom past me. I hope the game isn't too downsized for the Wii U. Slightly Mad Studios has the opportunity to absolutely own the car racing genre on the Wii U with this title. I am on this game like a fat kid on smarties, even if it is just a little above average. I want to support games like this and developers who put forth the effort. Also I want to show that if I dev reduces risks by doing a kickstarter they can make their games for all platforms and still make money. I want to see more and more self published or small published games. I have grown tired of over produced mass market AAA titles. They are good for what they are, but we have lost the meat and potatoes of video games, the mid games. We are entering a generation where it is either indy or AAA and we need a middle ground and I think projects like this can work. @Spoony_Tech You're welcome. I actually want this game really badly myself, so that is why I've been keeping close tabs on it, and a colleague of mine is a beta tester/community member so that is where some of my info is coming from. I wanted to sign up as well, but I found out about it too late and by then sign up possibilities were already closed. @Shambo Sorry to slightly disappoint you: Project CARS is a one driver kind of game, it's no Colin McRae Rally, WRC or similar. For now it's all asphalt jungle and race tracks and it's just you as the driver. But nonetheless it is still a very worthwhile game to look forward to. The Wii U needs a serious racing title, and this should fill that void nicely. I think I'll buy it. I'am so hyped and excited for this game... ever since i heard about it and caught a glimpse of it in that sizzle reel from the Nintendo Direct back in FEB, 2012. @Einherjar using the balance board is a great idea I hope they saw that! I would like to see some wii u in game screenshots..
this is all good and well, but how many wii u owners will actually buy this game ? This is great news! I love when third party developers realize the potential of the Wii U. I am really happy they want to utilize the gamepad as well. @everyone Have some more trailers to wet your appetites. Even if the Wii U version isn't entirely on par with the others, it will come quite close. It is a very underestimated console and this will be one of the games to show that off. The amount of detail is insane, from the actual 3-dimensional curbstones to all materials in the car, like aluminum, carbon, plastic and chrome and the fibers on the suede gloves of the drivers, the rain, the lighting: everything is looking (and more importantly: behaving) like it should; like the materials do in real life as well and that is already a HUGE step ahead of all other racers available today. And don't even get me started on the 'in-helmet view'. How's that for realism? Were are the wii u screenshots? I hope this sells well. I will certainly be getting a copy. @DrSlump All the trailers I posted not enough for you? But seriously, you could try and email/twitter the people at Slightly Mad Studios, they're a great bunch of people and very friendly, so you might get lucky. Or ask them to send some pics to NLife. I just check the galleries at their site and take into account that all those pics are from the 1080p PC version and we all know that the Wii U version will be in 720p, so the image quality will be somewhat reduced, but rest assured that it will be one damn fine looking racing sim...Check out the info in my first comment (#61) if you haven't already. That is supposed to be Wii U footage and ALL trailers I posted are IN-game so that should give you some idea for the Wii U version. As I have understood the Wii U version is going to go practically all the way with what's possible with the hardware, so it's going to be maxed out or as near to it as possible. Differences between the Wii U and other versions will be graphic fidelity (1080p vs720p for the Wii U) and of course some of the DirectX 11 effects not possible on Wii U, so the difference is likely not to be THAT shocking. You can also look up some HD trailers from Need for Speed Shift 1 & 2, also made by the same people. Those are Xbox360/PS3 games and Project CARS on Wii U is DEFINITELY going to look quite a bit better. It's at 720p, so a good comparison for what the Wii U version of Project CARS will be like. Compare that with the Project CARS trailers to give you some ideas about what's to come for Wii U. @nungi Care to share the joke in decent English so we can all have a laugh? The GamePad can act as a rear-view mirror? Take notes, Mario Kart 8; no one needs a massive touch screen horn button. @sarethums Funny. You obviously haven't played it. Through a colleague of mine that is part of the beta-tester community I did have the pleasure to try it out on PC and not only does it look WAY better, it also sounds better, plays better and ALL cars have damage models. The PC version is obviously better looking than the Wii U version will, but this is so far ahead of anything on the market right now, that it will still beat anything else into the ground. Gran Turismo is a great offering on it's own merit, but Project CARS is quite a bit better. @therealthanos im not trying to be funny or a fan boy. I welcome a racing game to the wii u but its not cabable of comparing to gt. There are 35000 people funding project cars and unless there each paying £25k each, its not going to have the funding to play with the big boys of the sim racing scene. Plus there are no decent wheels for the wii u on the market. I would love to see this game do well but its just not going todo so well as gt. I hope you understand. 30fps in a racing game? No buy. @TheRealThanos also id hope it looks better than gt, the ps3 is ancient. @sarethums I was talking about the latest GT offering, in defense of Sony/Polyphony quite an achievement on PS3. And no offense, but as for Project CARS: it's WAY past only being funded by the community, they are widely supported by numerous brands and more and more car manufacturers are giving them their blessing, so that is a very false assumption to make. Then there is the fact that the game is made by a team that has a very good and proven track record in making racing sims (8 games in total), so they have been 'playing with the big boys' for quite some time already and as you can read on their site their aim actually is to make the sim racer to beat all sim racers, both in graphics AND gameplay, and I say they are going to succeed. Save for a few PC sim racers that didn't interest me I have played them all, including GT, and from my experience with the Project CARS beta, I can honestly attest to that, also taking into account that this beta is only going to get better and the last time I played it was well over 3 months ago. My colleague (the beta-tester I previously mentioned) has invited me to come and visit again after the holidays because there are indeed already some improvements made compared to the previous build that, according to him, I should experience to fully appreciate. As for GT: at the moment they (arguably) may have regained a very slight advantage again compared to Forza, because according to some Turn 10 Studios dropped the ball with their latest outing (even though they offer a rock solid, locked 60fps while GT couldn't keep a solid frame rate to save it's life), but with their previous game they beat GT into the ground, and that is not only my opinion: it's a fact, confirmed by all relevant media and critics. They were even awarded for having the best driving sim last time around. And Project CARS will surpass Forza too, of that I'm pretty sure. Both Polyphony and Turn 10 have great sims and a lot of experience in making them, but the team behind Project CARS is definitely not to be ignored if you know your racing sims. In comparison they may have had a shorter run under their current name, but they have quite a few racing sim development veterans in-house and besides that no other development team before them has initiated such a close partnership with both racing industry specialists and racing sim fans/communities, so they are really offering something that has never been done before so it's new and it should be exciting to any fan of racing sims, including you. They said they'd aim to be the best from day one that Project CARS started, and up till now, they really did put their money where their mouth is. I can't realistically imagine them ruining all they have already accomplished to make a completed game that is going to be worse than it's beta. As such, waving it away before even having played it or thoroughly researched it is hardly the way to go about it. I don't mind talking about this topic with you, but please do come up with a more constructive and substantiated argument than simply saying that game A is better than game B, or saying it's just not going to do well without offering a reasonable explanation why, and I already debunked the 'not enough funding' formula, so that one isn't relevant anymore. @TheRealThanos Thats some great points TheRealThanos, lol the frame rate on GT6 is ridiculous. With Project cars though i was talking more about the wii u version. Im sure itl do great on pc, with a large user-base and array of compatible steering wheels. On the wii u however, there are not that many in circulation, there is currently no user-base of (except mk8 when that is released) racing on it never mind sim racing and there are no compatible wheels for it. Currently i own wii u, 360, ps3 and a hacked wii with all retro stuff. My next gaming machine will be a pc and i do have my eyes on project cars. Bottom line, i do love my wii u, i cant see project cars doing well on it, i would love to be proven wrong about that, i cant wait to play it on pc. @sarethums If you get it on PC I'm sure you will like it, with the whole range of bells and whistles possible (if you're PC can handle it) so you'll be in for a VERY good time. I do however also believe that the Wii U version will be very good, not that my colleague, who is just one of the many Slightly Mad community members, has a decisive say in that, but it's more what the studio itself reports, besides this article here. Their own words were that it will be a BIG step up from the Need for Speed Shift series that they did and that technically they were able to pull of quite a lot more on Wii U than most people (or media for that matter) would think. Either way, I'm going to buy this no matter what, if only to support a studio that has already proven to deliver with just a beta version and also because they are VERY supportive of the Wii U, so companies like that NEED our support in return to show them our appreciation and to make sure that they will keep supporting. We have the ability to speak with our wallets here, so if you are a racing sim fan and you have a Wii U, than this should be the biggest no brainer of 2014. And if like you say the worrying part of it all is the Wii U installed base, then we better hope that the upcoming first party games of Nintendo will make that grow sufficiently for Project CARS to be a raging success on Nintendo's platform. Game-wise it should definitely be able to do that, seeing as Wii U owners that are fans of the genre weren't exactly spoiled in that department. I don't know for sure of course, but with the recent (admittedly still modest) growth in sales I truly believe that Nintendo's own upcoming titles have the capacity to do an even better job of that in the months to come. 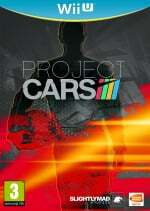 Project CARS won't be arriving until july/august 2014 at the earliest, so Nintendo has a good half year left to see to getting a solid installed base and the upcoming titles from them alone should be able to accomplish that, and then there are also multiple third party offerings, so all in all it is not too unlikely that this scenario may actually happen. It could go pear shaped and then they (Nintendo) would possibly have to pull the plug out of Wii U's life support, but I don't think that the Wii U will end up being Virtual Boy nr.2.